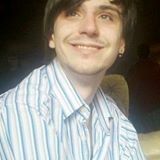 Heroin stole their son. Bill Williams and Margot Head will not rest until the War on Addiction is won. – Heroin. Stop the Silence. Speak the Truth. Heroin stole their son. Bill Williams and Margot Head will not rest until the War on Addiction is won. Bill Williams and Margot Head lost their son William to a heroin overdose. They have spent every day since his death fighting to save other people’s children. In speaking out and sharing the story of William’s battle to beat addiction they are shining a light on the broken mental health and insurance systems. 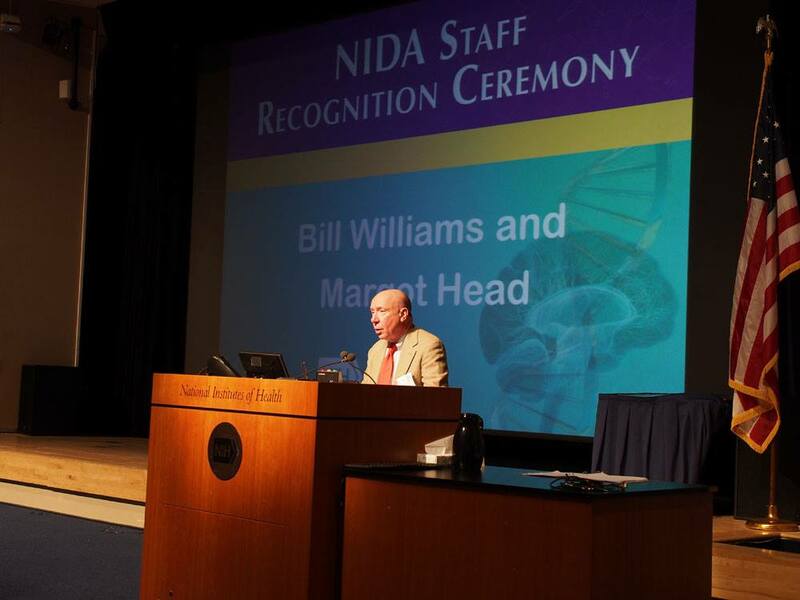 On Friday, October 30th, 2015 Bill Williams spoke at the Staff Recognition Ceremony of the National Institute of Drug Addiction, a division of the National Institute of Health. After the speech he and his wife Margot held a question and answer session. Bill has graciously allowed me to re-post his words for all of you to read and share. This speech was originally posted on Bill Williams’ Blog on Nov. 3, 2015. Thank you Dr. Volkow and Jack Stein for inviting Margot and me to be here with you today. The prospect, and now the reality, of being here to speak is both thrilling and humbling. My scientific credentials are scant. Fifty years or so ago I was a psychology major in college. At a time when I ought to have been studying the intricacies of limbic system function my own limbic system was singing a bewitching Siren call of “Wine, women and song.” I recall little, if any, prefrontal consultation or debate over the matter. If you like you can think of my college career as a primitive field study in brain maturation. The results of that study have certainly never been published and stand before you now excited at the opportunity to speak, still struggling to comprehend brain science, not even daring to employ numbers and statistics before such a celebrated body as this, especially as the sample size in my field study is but one. I reiterate, humbled. That said, there will be a small exception to my pledge about citing numbers and statistics a bit later. Wait for it. I’m a teacher. In the most basic way, I’ve made my living as a storyteller. I delight in being told, dreaming about, reshaping and retelling the tales that make our culture; tales that outlive their tellers. I spend much of my time helping artists of all ages to decode, compose, illuminate and narrate these tales. I often share with my students the Storyteller’s Creed I discovered in Robert Fulghum’s book All I Really Need to Know I Learned in Kindergarten. Some of you are surely wondering whether I’m brave or just plain foolish to begin a talk to a room full of scientists with a declaration like that. Be patient, I beg you. Allow me a moment to do what I do so often, tell a story. The story of what brings us here to you. Our story. The story of our son. In early December of 2012 our son, William, entered Columbia University’s College of Physicians and Surgeons at the age of 24. His arrival there was off the beaten track, beginning with visits to a psychotherapist. Over the next two years stops on the way included an addiction psychiatrist, out-patient treatment, treatment with Suboxone, in-patient detox, in-patient treatment, out-patient treatment, out-patient detox, treatment with Vivitrol, more out-patient treatment, another in-patient treatment, more out-patient treatment, a revolving door of well over a dozen trips to and from the emergency rooms of at least four different hospitals, an attempt to work with another addiction psychiatrist, Alcoholics Anonymous, Narcotics Anonymous, and a home life fraught with tension and despair, sometimes hopeful during intermittent periods of sobriety, and always filled with the apprehension of misfortune. William’s credentials for Columbia were unorthodox, “acute and chronic substance abuse” which caused “complications of acute heroin intoxication”. William was admitted, not as a medical student, but as an anatomical donation. A cadaver. His credentials came from his death certificate, not any academic transcript. William accidentally overdosed in our living room, just over three years ago. I discovered him there and frantically called 911. As a result of his acute intoxication, when his heart stopped beating for too long, despite extraordinary work by emergency personnel, William was placed on a protocol of therapeutic hypothermia in an attempt to prevent brain damage. Six weeks of comatose and/or heavily medicated hospitalization followed – six weeks of a family bedside vigil – before a neurologist used the analogy of cut flowers in a vase to explain the state of William’s brain. The cut alone is damaging. Yet, initially the freshly cut flowers look fine. As time passes they shrivel, wither, and dry up. We had to comprehend and accept that William was consigned to a persistent vegetative state. There would be no miracle. We made the agonizing decision to remove William from life support and contacted the New York Organ Donor Network. Our admiration for their dedication, compassion and professionalism knows no bounds. Organ donation for someone in a vegetative state requires an expedient demise. William did not expire within the necessary one-hour time frame, though his mother, sister and I were with him in the operating room, singing to him, talking to him, and telling him he could let go. Rather, he lasted another 21 hours before drawing his last breath in our arms. William had been attached to monitors and machines for six weeks. The last thing I was able to do for my boy was to detach every wire and sensor from his body – to free him to be on his own. Determined that his death not be in vain, his mother, sister and I made the gift of his body, an anatomical donation, to the College of Physicians and Surgeons at Columbia University. In another time, in a better era, William might have entered the College of Physicians and Surgeons, not as a cadaver, but as the gifted and talented young man he was. At William’s memorial service his sister, mother and I made the following pledge: We promise to do everything in our power to educate and inform people about drug abuse and its prevention, to provide ever more enlightened treatment for addicts, to help make treatment options for addicts more readily available, and to remove the stain of shame surrounding this disease. We’ve done our best to honor that pledge, in part by being here with you today. Since William’s death, Margot and I have been introduced to many brave parents who have lost children to addiction. Parents whose lives, like ours, are scarred with the collateral consequences of addiction. Parents who, like us, have asked themselves over and over, “If only?” In our case, if only William had not been released from inpatient rehab “against clinical advice” after a mere ten days, because his insurers would not approve any further treatment? If only any one of four different hospital emergency rooms recognized that William’s repeated overdoses made him a danger to himself and entertained the notion of assessing him for a dual diagnosis? If only, when he arrived at a hospital of his own volition, with his bag packed (including two books – George Carlin’s When Will Jesus Bring The Pork Chops and John Medina’s Brain Rules), if only Emblem Health and their utilization review subsidiary Value Options had considered his request for inpatient detoxification medically necessary, rather than denying him treatment four days before he fatally overdosed? If only, despondent, he hadn’t overdosed in a Starbuck’s bathroom within hours of being denied, then been treated and released from a hospital without our knowledge? If only we’d happened to look into our living room where he was “watching TV” just a few minutes sooner, before I discovered him slumped over, a needle on the floor, in or about to be in cardiac arrest. The writer and lecturer Andrew Solomon reminds us “…we all have our darkness, …the trick is making something exalted out of it. “ We’ve seen other parents and family members who have suffered loss establish scholarships, endow lectures, raise money for research, run softball tournaments, race marathons, ride bikes cross country, lobby for change, teach communities how to use Narcan, and share their wisdom and strength with others who are battling substance use disorder right now. One parent wrote last year: “Addiction isn’t a spectator sport. Eventually the whole family gets to play.” This was and is certainly true for our family, even as we’ve played a man down for the last three years. There are lots of family stories out there. More than a few have come our way since we shared ours. More than 2/3 of American families have been touched by addiction. It is not inconceivable that 10% of us, the people in this room, as in the population at large, will have, do have, or have had a personal battle with substance abuse. Addiction now consumes communities, cities, entire counties and states. It is a deadly sport that may well deserve the title of our unspoken national pastime. We speak today for the multitude of families confronted by this plague in our time. In the theater ‘if’ is an experiment. In the theater ‘if’ is the truth. Truth, then the theater and life are one. The work as play, then it is not work any more. Peter Brook could just as easily be talking about your work. Allow me to suggest that the life of the scientist and the life of the storyteller share the common ground of “What if?” When the day arrives, and I have faith that it will; when the day arrives that no longer calls for a talk like this, to a group like this, from a parent such as I, it will be because you have asked “What if?” You will have employed your hopes, your dreams, and your imagination in a search for truth. Please, I implore you, do not take the word “play” lightly. I ask you, was it work or play when Galileo began tinkering – grinding and refining lenses before turning ever improved telescopes skyward? The question in my mind is not “What if” but only “When?” will your work and your play, your play and your work help bring this plague of our time to an end. Galileo and Shakespeare were both born in 1564, a scant two months apart. The plague of their time was the Bubonic plague. Shakespeare lost three sisters, a brother, and his son Hamnet to the plague. Whenever one of the frequent outbreaks of plague occurred in England the theaters in London were shut down and actors were forbidden to tour the country for fear they would carry the disease. In Florence plague victims were thrown into mass graves in the fields, forbidden burial in church cemeteries. Fences were thrown around the mass graves to prevent dogs from devouring cadavers, or worse, returning home with the bones of family members. Our word quarantine is derived from the Italian quaranta gioni, forty days, a period of isolation imposed by Venetians on returning travelers. Forty days was chosen because it was the same period of time Christ spent in the wilderness. The stricken were sent to plague hospitals, their homes boarded up with family members sealed inside. Blame for the plague was laid on miasmas of swampy air, evil humours carried in the air, or earthquakes releasing poisonous fumes, the full moon, conjunctions of the planets, famine, fate, beggars, prostitutes, beautiful young women or Jews. Religious explanations abounded. The sin of pride, sinful behavior on the part of all society, the wickedness of all people, a sign that Christ’s return was imminent. As if the imminent threat of plague were not enough, Shakespeare and Galileo had to steer delicate paths in their professional lives. Shakespeare had to contend with the Elizabethan court. More particularly the Master of Revels who had the power of censorship over all that went on in the theaters and control of all those who aspired to perform at court. Shakespeare maneuvered around the boundaries well, sensing when to flatter and when he might be subversive. Prejudice against actors remained. Besides being disease carriers, actors were discriminated against for being prostitutes, thieves, beggars, having loose morals, indulging in vices and distracting the Godly from reality. Galileo had to deal with the Papal court in Rome. While successful at winning the support of patrons over the course of his career, he was less deft at contending with a court filled with intrigue and adherence to religious dogma about the nature of the universe. Galileo unintentionally alienated a former supporter, Pope Urban VIII, was tried by the Inquisition, was found “vehemently suspect of heresy”, and spent the rest of his life under house arrest. I said earlier that myth is more potent than history. I did not say this is always a good thing. Galileo spent the end of his life under house arrest for attempting to suggest in a careful and delicate manner that his observations refuted long held religious dogma. The Bible, to be specific. Whatever Galileo discovered and believed, the sun in Rome still revolved around the center of the universe, our planet Earth. Why do I mention Shakespeare and Galileo? Because, over four hundred years later, too little has changed. The scientist and the storyteller are still regarded with suspicion, still negotiating treacherous territory. As Andrew Solomon wrote in his brilliant 2012 book Far From The Tree, “We live in xenophobic times, when legislation with majority support abrogates the rights of women, LBGT people, illegal immigrants, and the poor.” I would add that at the end of the parade, behind even those disenfranchised groups, are the mentally ill…and bringing up the very rear, people with substance use disorder. We perpetuate a mythology in the way we speak of the afflicted. Prejudice, hatred and stigma marinate in our language. We freely call the sufferers: lushes, alkies, disturbed, acid freaks, wastoids, boozers, juicers, scary, tweakers, coke whores, crack heads, winos, tipplers, nuts, loonies, pill poppers, speed freaks, people with a screw loose, mental inebriates, drunkards, dope fiends, druggies, junkies, dipsomaniacs, psychonauts, dopers, freaks and retards. We persist in trying to make what we fear disappear by naming it and shaming it. We prefer the myth of weak morality to the fact of disease. Look at the accusations of bad character heaped on artists like Philip Seymour Hoffman and Robin Williams. Like dogs digging at the graves of Italian plague victims, our country loves to feast on the misfortunes of performers and other celebrities suffering substance use problems. I’m sure you feel like Galileo when he wrote Kepler to say “…our teacher Copernicus, who though he be of immortal fame to some, is yet by an infinite number (for such is the multitude of fools) laughed at and rejected. This past October 4th Margot and I joined 30,000 other people from all across the country to participate in The Unite To Face Addiction Rally on the national mall. The rally made history in part by declaring the event “The Day the Silence Ends.” No more will any of us tolerate or accept secrecy, shame and silence about the disease of addiction. The tide IS turning. The truth will trump myth. What if? What if I propose making this day of well deserved recognition and celebration, this day, beginning now, a day to mark the time when the laughter from the fools ceases. If we can no longer tolerate secrecy, shame, and silence, then we ought no longer tolerate ignorance, bigotry, and entrenched dogma. There’s a roomful of people right here doing wonderful work. Work that deserves far greater recognition. Work that needs to move as quickly as possible from your labs to practical application. Work that deserves to be swept along in the changing tide. The time is now to bring the healers and the healed, the recovered and the recovering, the sick, the scientists and the storytellers together. We can wait for leaders to effect change or we can be the voice of change. We must teach the leaders. WE must be the leaders. We can prevail. We must prevail. We WILL prevail. 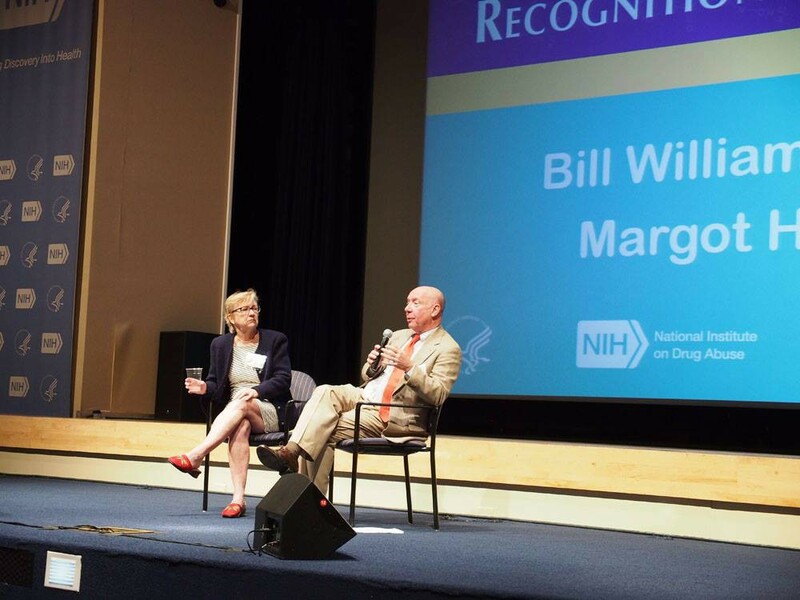 Bill and Margot also spoke at US Senate Forum on Addiction, December 2, 2014. Click on the link below to see the video. Thank you Margot and Bill for standing and fighting for others when you have lost so much. Maureen, I have sent your message to Bill. Hopefully you’ll hear from him soon. I am so very sorry for your loss.